Leenthefoodie is an Instagram blog sharing existing, new and upcoming eats mainly in Perth. However, from time to time, you may come across a few foodie posts relating to my worldwide travels. How did the idea for Leenthefoodie come around? The concept behind leenthefoodie was to create a simple blog. A photo, short comment of the food/drink and a short review. I believe that these three things are what people really want to know when they eat out and I hope to be able to provide that for them. What are your top five places to eat in Perth? 1. 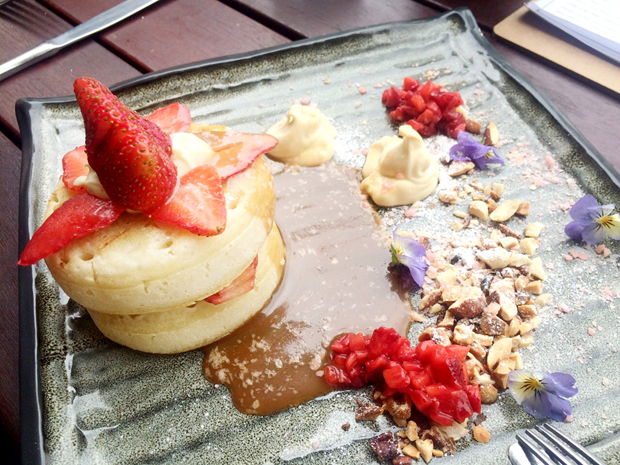 Bivouac Canteen in Northbridge – this place has such great food and drinks all the time. The flavours for all the dishes are just perfect. My favourite would be the Sticky Chipotle Pepper Lamb Riblets – finger licking goodness! 2. Nobu Perth, Crown – I’ve been here several times and every time, it’s met my expectations. The soft shell crab with watermelon is the best in Perth (I know that’s a big call, but it’s amazing), and you won’t go wrong with the Black Miso Cod and Miso Cappuccino. 3. St. Michael 6003 in Highgate – Was actually recommend by The Foodie Hub. Initially, I had very high expectations and got a little worried that it wouldn’t meet my standards but I was surprised at how good this place was. The dishes were flavoursome and unique and for degustation, it’s reasonably priced. $89pp for 7 courses or $49pp for 3 courses with additional plates for $12. 4. Bread in Common in Fremantle – everything here is great using very fresh produce! You can’t go past the bread – fresh, fluffy and soft! The share plates are great and the desserts are deliciously good. 5. Architects and Heroes in Subiaco – good coffee and a great brunch spot. The crumpets here are my favourite – macerated strawberries & vanilla mascarpone with pecan butterscotch mixed nuts and popping candy. A not so sweet dish that’s great for breakfast and leaves you wanting more. 6. Harvest Espresso in Vic Park (sorry, I couldn’t choose 5) – I love the fact that each dish here has been thought out carefully with unique flavours and something that’s out of the ordinary. The octopus and chorizo from the summer menu has been a favourite, along with the pork belly with squid ink and coconut mango bread from previous menus. 7. The Trustee Bar & Bistro in Perth (I couldn’t not include this, sorry!) – If you want a good steak, this is the place to go. Not to mention that they now serve dessert degustations. For only $24, you get 4 different dishes all carefully thought-out with a palate of different flavours (plus a complimentary palate cleanser at the end). The house-made snickers bar, popcorn ice-cream sandwich and lychee sorbets with rose water panacotta are some favourites. Top five cheap eats in Perth? 1. Pinchos in Leederville – authentic spanish tapas. Bite sized pieces from $1-$5 and small plates from $6-$9. For good tapas in Perth, it’s pretty reasonable. 2. Bullcreek Hawkers – a local favourite restaurant serving Malaysian cuisine. Every dish here is authentic and most meals are around $10. 3. Dosukoi in Fremantle Markets – best ramen in Perth! broth is super tasty and flavoursome, noodles are perfectly textured and costs under $10. 4. Popo’s Korean & Japanese Restaurant in Perth – I seem to forget how large the serving sizes are and tend to over-order when I’m here. The sushi dishes would be the best value, serving eight big pieces filled with fresh ingredients. Most of the popular dishes here are about $10 or less. 5. This Little Piggy Food Co in North Fremantle – a small popup restaurant serving tacos, spicy hot wings and homemade ice-cream sandwiches for $7. It’s also BYO! What would you like to see more of on the Perth Food scene? It’s great to see so many new restaurants and bars opening especially in the last two years. I’m loving all the street food events that are popping up regularly. It would be nice to see more cheap options and more coffee joints that are open in suburban areas during the weekends. I often find myself having to trek all the way to the city just to go for coffee as most places aren’t open on weekends. What are some of your favourite instagrams?